(Girona, Spain – February 29, 2016) PGA Catalunya Resort, near Barcelona, Spain, has expanded its property rental portfolio for golfers wishing to stay on-site at the European Tour Destination, after seeing visitor demand increase by 30% over the last two years. Significantly, visitors from the Nordic countries made up the largest group of holidaymakers who preferred to rent at the Costa Brava resort in 2015, accounting for 40% of the total occupancy, while 25% were from the UK, followed closely by France with 20%. Since the low-density development first took shape in 2011, the resort which hosted the 2014 Open de España has enhanced its portfolio of rental properties by over 70% to include a larger mix of luxurious family houses, golf-fronted semi-detached villas, as well as exclusive apartments adjacent to the clubhouse, overlooking the 18th green of the critically acclaimed Stadium Course. David Plana, CEO of PGA Catalunya Resort, commented: “With each property offering stunning vistas, comfort and the utmost in luxury, the demand from visiting European golfers has been very high, and is a trend we believe will continue in 2016. Every home type offers contemporary architectural design, high-specification interiors and large Mediterranean-style terraces which enable resident golfers to enjoy views over fairways, mature forests and the Montseny Mountains. Marcus Brown, a regular visitor to the home of Spain’s No.1 golf course* and chairman of the Board of the PGA of Denmark, added: “One of the main reasons I stay at PGA Catalunya Resort is that I want to be on site with my clients 24/7, and have the opportunity to play and practice all day long. Visiting golfers benefit from 24-hour security and full management and concierge services that ensure all aspects of a golfer’s stay are taken care of. These include airport transfers, food hamper deliveries, beach club access, babysitting, restaurant and theatre reservations, as well as ski arrangements during winter months in the nearby Pyrenees. Less than an hour’s drive from the vibrant city of Barcelona and only 20 minutes from the Michelin-starred restaurants of Girona, the 36-hole resort has consistently ranked among the 10 best European golf venues since it opened in 1999, attracting discerning golfers, international elite amateur teams and professionals, as well as major international events, including three Spanish Opens, the 1999 Sarazen World Open and European Tour Qualifying School Final Stage events since 2008. Dirleton, Scotland – The Renaissance Club announced today the closing of a transaction that paves the way for The Club to become member owned and governed. A small group of major member stakeholders increased their investment in order to retire the 1/3 ownership interest of Archerfield Estates Limited (AEL), an entity which will remain supportive of the club as its landlord. This 1/3 ownership interest is being offered to members only and a Board of Directors representative of the membership is being incorporated into The Club’s structure. Details of the transaction were not disclosed. “This is an exciting time for The Renaissance Club as we celebrate our 10 year anniversary of the partnership and the Club. We believe this change of ownership structure allowing our members to become equity participants in the partnership will set the Club on a long term path to create a world class golf club” commented Jerry Sarvadi, the Club’s founder and CEO. Invest Archerfield LLC, a US based Limited Liability Company also founded by Sarvadi and his 5 brothers will continue its ownership participation and support. “The Sarvadi family commitment to this club has been and will remain far more than just an investment but rather a testimony of our dedication to the great game of golf and our love for the home of golf, East Lothian Scotland. We are very thankful for the ten year partnership with AEL which formed and established the Renaissance Club through some difficult economic times” stated Paul Sarvadi. “We have agreed to extend the original lease with the Renaissance Club, back to the original 99 year time period, 10 years into the partnership,” Elly Douglas Hamilton, Chairman AEL Ltd commented. “This is a new beginning for the club & we look forward to supporting them”. 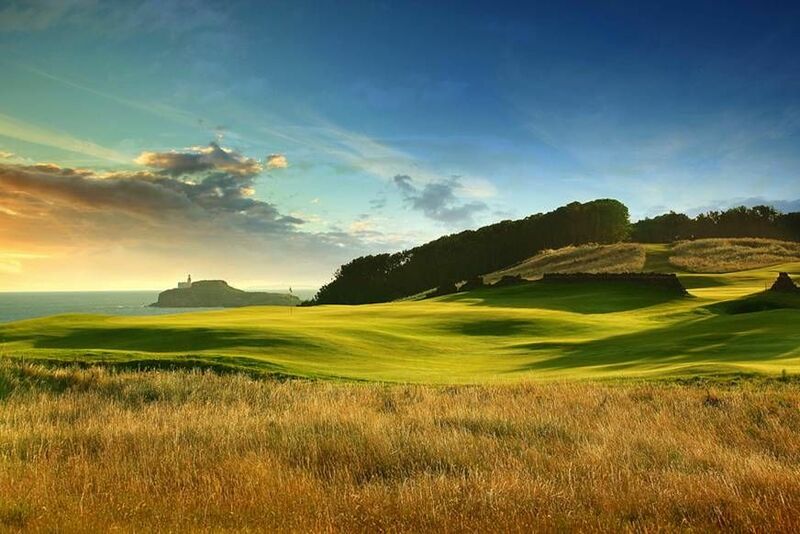 Nestled in the heart of Scotland’s Golf Coast, The Renaissance Club’s beautifully manicured greens and fairways have played host to elite golfers from all over the world, as well as a steady stream of dedicated golfers each of whom has a special passion for the sport. The course is everything at The Renaissance Club. Designed by world renowned golf course architect Tom Doak, The Renaissance Club is recognised as a modern masterpiece of golf course design that many aficionados and golf media insiders consider the future of links golf and a worthy descendant of its illustrious neighbours, Muirfield & North Berwick West Links. With a recently acquired triangular piece of land which Doak fashioned into three new holes and the club’s recently completed three-storey clubhouse with accommodation the showpiece is finally complete creating a tournament quality venue and world class golfing experience which is attracting worldwide attention. Doak has harnessed the rugged elegance of East Lothian’s sweeping dunes and tall pines into a truly phenomenal golfing challenge, perfectly suited to host any professional tournament and is a challenging test from start to finish. The exceptional facilities of the club include a magnificent practise area, children’s golfing camps, regular ladies’ mornings and one on one lesson options. Some of the world’s finest golfers including Adam Scott, Jimmy Walker and Vijay Singh have walked away from the course mesmerised. The same dedication to quality and excellence is reflected in the facilities at the clubhouse which was completed in June 2013. Members’ lodging and dining options at the club are simply sublime. Magnificent cuisine is prepared by chefs trained in Michelin-starred restaurants, while the accommodation delivers everything a member could possibly require, whether they need to conduct business or unwind in the epitome of luxury and refinement. Complete with spa, gymnasium and treatment areas, perfectly appointed locker rooms, beautiful bar, a fabulous dining experience and 24 luxurious lodging rooms, members are presented with a golfing experience guaranteed to last a lifetime. The Renaissance Club continues to build upon its excellent relationship with The R&A, who announced last week, that the club is one of the four new Final Qualifying Venues for The 147th Open in 2018, alongside Notts (Hollinwell) in Nottinghamshire, Prince’s Golf Club in Kent and St Annes Old Links in Lancashire. The Renaissance Club also looks forward to co-hosting its first championship this year welcoming the world’s leading boy golfers, for the Boys Amateur Championship in August 2016, alongside neighbouring venue, Muirfield. For further information about Membership, please contact Stephen Walker or Jordan Whyte on 01620 850 901 or email membership@trcaa.com. The LD2 Combines GolfBuddy’s Signature Distance Measuring Features with Swarovski® Crystal Embellishments. La Palma, California February 18, 2016 – GolfBuddy takes aim at the female golfers market with its latest golf GPS product, the LD2. This device provides women with a GPS watch that pairs fashion with function. The LD2 incorporates GolfBuddy’s most up-to-date distance measuring technology, along with an elegant watch display surrounded by Swarovski’s® crystals. 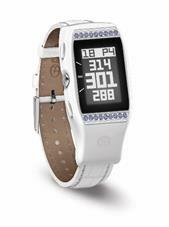 This stylish golf GPS watch is perfect for the female golfer whether on or off the course. The LD2 is GolfBuddy’s first foray into the ladies watch market, which, as shown by 2015 statistics from the National Golf Foundation, indicate that women comprise one fifth of all golfers and one quarter of all junior golfers in the U.S. Beyond the technology, the LD2 combines Swarovski crystals with a genuine leather strap, a stainless steel bezel and a mineral crystal lens for a crisp display. All of these elements are designed to ensure a luxurious look and feel. The Swarovski crystals are produced with a light sapphire hue that complements the LD2’s white color scheme. The wristband is made with an alligator grain and is also interchangeable, allowing for the user to swap out the band based on preference. The LD2 offers distances to the front, back and center of the green, as well as distances to 11 hazards per hole. Like all Golfbuddy products, the LD2 features automatic course and hole recognition. The LD2 comes pre-loaded with over 38,000 courses worldwide and there are no additional subscriptions or charges after purchase. This new GPS watch also comes equipped with a dual-shot distance measurement function, which will tell the golfer exactly how far they hit their shot. The LD2 has a rechargeable lithium ion battery, which provides up to 7 hours of use in GPS mode and 6 months in regular watch mode. The GolfBuddy LD2 has a MSRP of $299.99. GolfBuddy is based in La Palma, CA, with product development and course data management centers in South Korea, one of the world’s leading suppliers of high-quality electronic products. For more information about GolfBuddy visit: www.golfbuddyglobal.com. (DULUTH, GA) – Premier Golf (www.premiergolf.com) – experts at world travel and the exclusive distributor of Ryder Cup packages since 1991 – offers exceptional golf travel packages to unique global destinations including the Dominican Republic, Spain, Portugal, Australia, New Zealand and South Africa. Both custom and planned international golf travel packages are available throughout the year to various destinations, many that include after-golf activities to experience local history, culture and cuisine. Prospective travelers are encouraged to call Premier Golf directly and / or use the Request-A-Quote feature on www.premiergolf.com to pinpoint customers’ desires and details. 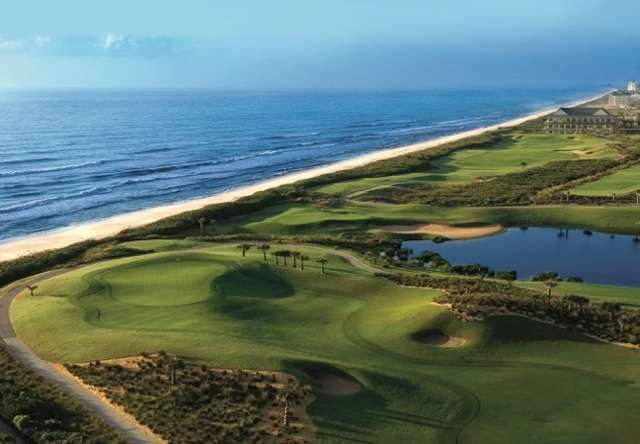 In addition to providing packages to international destinations and to this year’s Ryder Cup, Premier Golf serves packages to many elite U.S. resorts and destinations including Bandon Dunes, Streamsong, PGA Village, Destination Kohler and Hilton Head Island. Premier Golf LLC is a division of Travel Incorporated headquartered in Duluth, Georgia. The company has been licensed by the PGA of America since 1988 and manages several of the PGA’s travel requirements. Since 1991, the company has been the only licensed source by the PGA for official Ryder Cup travel packages. Premier Golf is also one of America’s largest and most respected golf tour operators. With offices in Ireland and Scotland, Premier Golf provides golf travel services to the classic destinations all over the world. For more information: www.premiergolf.com, 866.260.4409. SAN DIEGO, Calif., USA — Peter J. Grass, golf course superintendent at Hilands Golf Club in Billings, Montana, USA, was been elected to a 1-year term as president of the Golf Course Superintendents Association of America (GCSAA) at the association’s annual meeting held Feb. 11, in conjunction with the Golf Industry Show in San Diego. GCSAA (www.gcsaa.org) is golf’s leading association dedicated to golf course management and environmental stewardship worldwide. Formed in 1926, GCSAA provides education, information and representation to some 18,000 members in more than 78 countries. 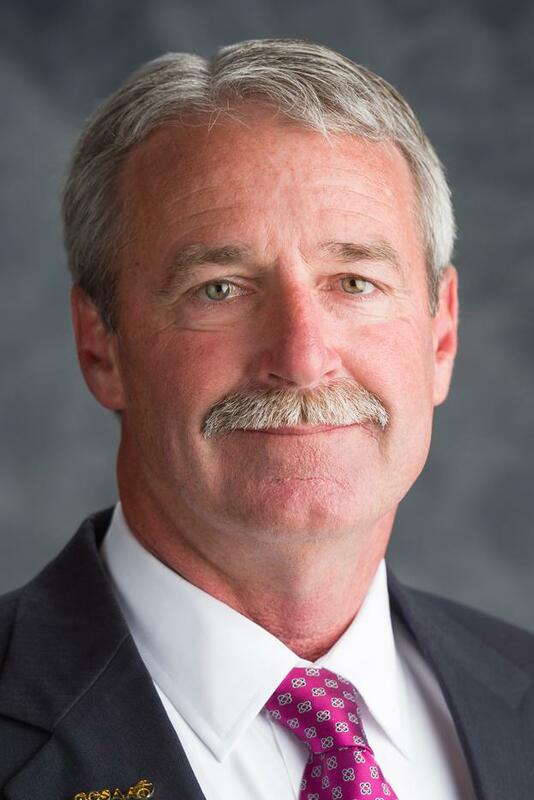 For nearly 90 years, the association has been superintendent-led by people like the aptly named Grass, a certified golf course superintendent (CGCS) who served as GCSAA vice president in 2015, and has been a member of its board of directors since 2009. A 31-year member of GCSAA, Grass succeeds John J. O’Keefe, CGCS and director of golf course management at Preakness Hills Country Club in Wayne, N.J., who served as president for 2015. O’Keefe will continue on the board as immediate past president. Other newly elected officers included Bill H. Maynard, CGCS and director of golf course maintenance operations at Country Club of St. Albans near St. Louis, as vice president, and Darren J. Davis, CGCS and superintendent at Olde Florida Golf Club in Naples, Fla., as secretary/treasurer. The elections of Grass, Maynard and Davis took place at the close of the 2016 Golf Industry Show, which saw a rise in all measures — including total attendance (12,600) and qualified buyer attendance (6,000). During the trade show, Feb. 9-10, attendees were able to view the latest golf facility solutions and interact with more than 550 exhibitors spanning 250,000 net square feet of exhibit space here at the San Diego Convention Center. The GCSAA Education Conference, held in conjunction with the Golf Industry Show, welcomed 5,240 seminar participants, as well as hundreds who attended complimentary forums, sessions and panel discussions throughout the week. Subject matter included agronomics, business, environmental management, communications, leadership, technology, and personnel management. Four of the UK’s finest golf courses will become Final Qualifying venues for The 147TH Open in 2018. Qualifying for golf’s oldest and most international Major Championship will take place at Notts (Hollinwell) in Nottinghamshire, Prince’s Golf Club in Kent, The Renaissance Club in East Lothian, and St Annes Old Links in Lancashire from 2018 until 2021. At Final Qualifying in 2015, among those who secured their places in The 144TH Open at St Andrews were two-time US Open champion Retief Goosen, Irishman Paul Dunne, who went on to lead the Championship after the third round and played in the Great Britain and Ireland Walker Cup team, and his fellow Walker Cup player American Jordan Niebrugge, who went on to finish tied sixth and win the Silver Medal as the leading amateur. Johnnie Cole-Hamilton, Executive Director – Championships at The R&A, said, “Final Qualifying is a hugely important part of The Open and provides a gripping spectacle as leading Tour players compete with club professionals and elite amateurs for places in the Championship. The success that Jordan and Paul enjoyed last year shows just what is possible for those who qualify and gives players a huge incentive to follow in their footsteps. Notts Hollinwell has hosted professional Tour events, including the Dunlop Masters, and was the venue for the Brabazon Trophy in 2015. Matthew Fitzpatrick won the Boys Amateur Championship there in 2012. Gene Sarazen became the Champion Golfer of the Year at Prince’s, when it hosted The Open in 1932. The course has also been joint host of The Amateur Championship on two occasions, the Curtis Cup in 1956 and the 2006 Ladies’ British Open Amateur Stroke Play Championship. It will also host the St Andrews Trophy (20 and 21 July) and the Jacques Leglise Trophy (26 and 27 August) this year. The Renaissance Club opened in 2004 and, along with neighbouring Muirfield, will host the Boys Amateur Championship this year. St Annes Old Links was a qualifying venue for The Open at Royal Lytham & St Annes in 2012 and has held a number of elite amateur events including the English Women’s Open Amateur Stroke Play Championship last year. 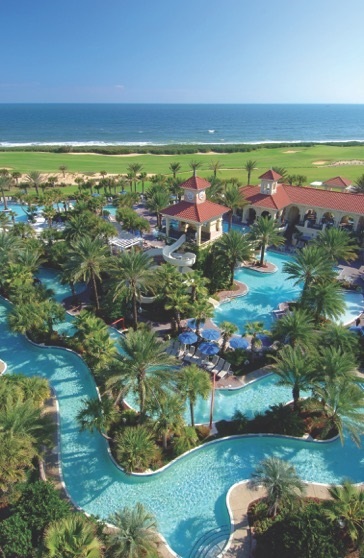 Hammock Beach Resort, the wondrous oceanfront oasis nestled along northeast Florida’s shoreline in Palm Coast, has teed off 2016 with three unbeatable stay and play golf getaways. Great for experienced players looking for challenging golf in a beautiful beachfront setting, Conservatory Only provides players luxurious accommodations and daily golf on Hammock Beach’s Conservatory Course for as low as $115 per night. The famed Conservatory Course is currently ranked Florida’s longest and hardest golf course and features dramatic elevation, undulating greens and 76 acres of lakes and water features. The ultimate getaway for couples who share a passion for golf, Couples Golf provides one round of golf per partner, luxurious accommodations and daily complimentary breakfast for as low as $165 per night. Specifically designed for the serious golfer, Just Golf offers players full access to Hammock Beach’s two challenging courses designed by Nicklaus and Watson for as low as $145 per night. (NAPLES, FLORIDA) – Golf Life Navigators (GLN) – the lifestyle-relocation experts who help people considering a move to Florida find ideally suited places at no charge – reports that the number of clients who purchased golf club memberships and real estate properties during the past 90 days exceeded company sales projections. GNL’s executive team are veteran PGA of America professionals and Florida real-estate experts who identify places that supremely match their client’s specific needs and desires. The team of trusted advisors are intimately familiar with every aspect of Florida golf clubs and living – from the fine print on membership agreements and the clubs with the most social programs to the most walkable courses and the differences between bundled and non-bundled communities. This distinct knowledge of clubs, properties and their nuances enables GLN to match appropriate “fits” for their clients’ consideration – no strings attached. GLN includes two real estate divisions – Golf Life Properties and Aberdeen & Crail – specializing in golf and non-golf properties and communities, respectively. 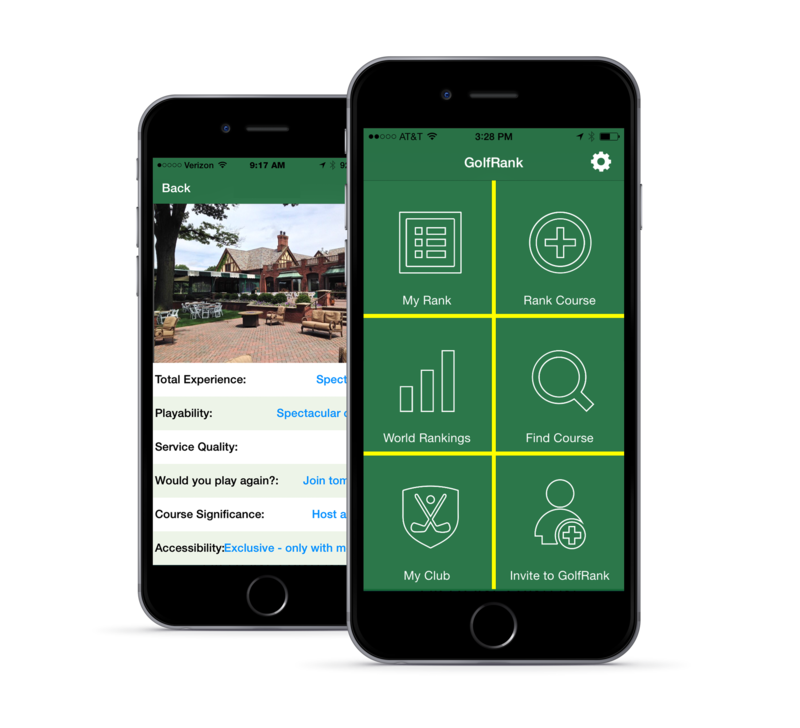 For more information about Golf Life Navigators, or to arrange a complimentary consultation, call 800.447.8707 or visit www.golflifenavigators.com. (BRANSON, MO) – With the Branson/Lakes Area golf destination already into “shoulder season” – the bookend timeframes in early spring and late fall when value-laden deals are popping – the Ozark Mountain oasis is one of America’s most compelling places due to new courses being developed, award-winning venues, a “legendary” pro tournament and multiple stay-and-play packages that provide a broad spectrum of options. In addition to courses designed by Gary Player and Coore & Crenshaw that are being built, area golf and resort managers have been busy during the past several months enhancing operations and playing opportunities as illustrated by the following, a small sample of representative destination offerings. The package requires a two-night minimum stay. Call Big Cedar Lodge today at 1-800-225-6343, and mention code EXBR16 when making reservations. Thousand Hills Golf Resort’s owner invested substantially to improve the look and playability of the already-popular course in the heart of Branson. One project included “de-brushing” the area between its creeks and the course, and nearly $100,000 was invested in new maintenance equipment to ensure immaculate playing conditions – something golfers avidly seek. Pointe Royale Golf Village was particularly busy this winter, adding a new bridge on Hole No. 3, re-routing or improving paths on holes 3, 5 and 15, building a new teeing area for senior men on No. 9, and improving drainage on No. 16. A golf car fleet and refreshed course restrooms are also new this year. The 2016 Ozarks Junior Golf League is designed for children of all skill levels who are age 13 or under. A six-week program, the league includes practices, events, and instruction from professionals. Participants receive a team jersey and two dozen golf balls. The events are a “scramble” format and played at Don Gardner Golf Course. Scrambles are the most player-friendly golf game, allowing everyone to contribute and feel good about the experience. Those interested should send a $100 check to Sticks & Stones Foundation, 1600 Ledgestone Way, Branson West, MO 65737. For more information about the program, email Bill Hasler at bill@svpoa.org.